Please welcome our new Team Sterling Trainers! Born and raised in Southern California, Kellie started with horses at a young age. Not from a horse family, Kellie had to work hard for her showing. She showed extensively as a youth in AQHA competition receiving many awards and All-Around titles. With horses as her passion, Kellie attended California Polytechnic State University, Pomona studying Animal Science. Kellie chose to learn from top professionals during her summer breaks from school. After college, she continued to work with AQHA Professional Horsemen to further her training knowledge. In 1997, Kellie established Trendsetter Performance Horses opting for a memorable barn name. Over her first years as a professional, Kellie set out to develop an honest and reliable barn that maintained an enjoyable client experience . In 2000 Kellie welcomed Deann Hudson as an assistant trainer to her growing barn and Deann has been devoted since. 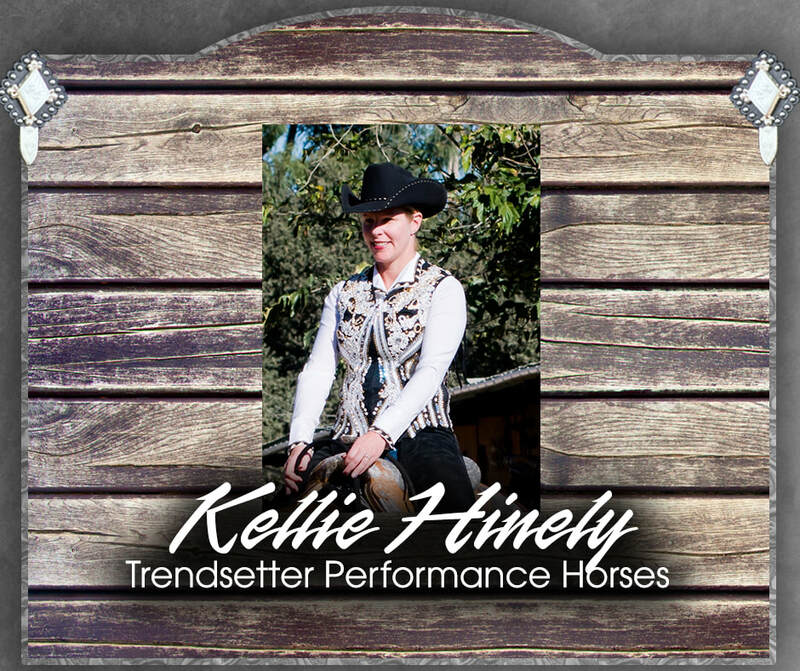 Kellie has been fortunate to ride exceptional mounts over the years ranging from futurity pleasure horses to senior pleasure drivers. ​Trendsetter Performance Horses continually starts young horses show careers while developing national level competitors. Kellie enjoys the junior horse events and fine tuning the finished all around horse and rider. She also provides exceptional horses for sale at all times. Additionally, numerous AQHA professionals and breeders entrust Kellie to sell their horses. An honest approach to horse ownership is a core value to Kellie and she is always ready to share her experience and knowledge. Kellie has great friendships with international horsemen and has visited Sweden as a clinician and to assist the European AQHA community. Kellie is dedicated to her industry while she maintains an active role with local horse clubs and is an active PCQHA board member. 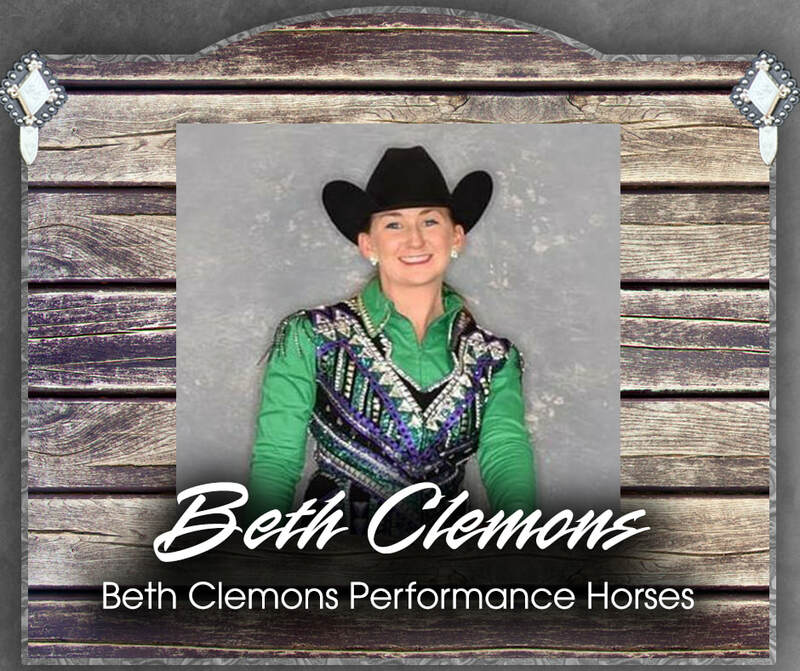 Beth Clemons was born and raised in Carlsbad, California, and was first introduced to horses at the age of seven. Beth fell in love with horses from her first ride and quickly became the girl who would jump anyone's pony, doing the job well and gaining experience with every ride. Her mom and older sister rode hunter/jumpers and dressage, but Beth was drawn to the versatility of the Quarter Horse and the discipline required of western pleasure riding. Beth began to compete at local open shows and the AQHA shows hosted in Southern California, learning from everyone she had the opportunity to meet and observe in her early years of riding. In an effort to learn more about her sport, Beth worked with Dana Hokana. Although she was in college, she spent every hour of free time riding and working with horses. Beth also worked with Jason Martin for a summer and Tonya Brown for four years to further hone her skills before establishing Beth Clemons Performance Horses in 2013. Beth's love of horses is reflected in the tremendous respect she affords each horse. She enjoys training the all-around, but her specialty is creating a solid western pleasure foundation to allow horses to thrive in other events. Beth approaches each horse and client with patience and honesty, striving to teach horse and rider alike to relax, learn and enjoy each ride. Bobbie Emmons has been involved in the horse industry showing APHA & AQHA horses for over 35 years. Growing up in Malibu, California Bobbie spent time divided between showing horses and playing beach volleyball. Specializing in training and showing the All Around Horse, Bobbie enjoys making the most of a talented horse and pairing them with a youth or amateur that fits. 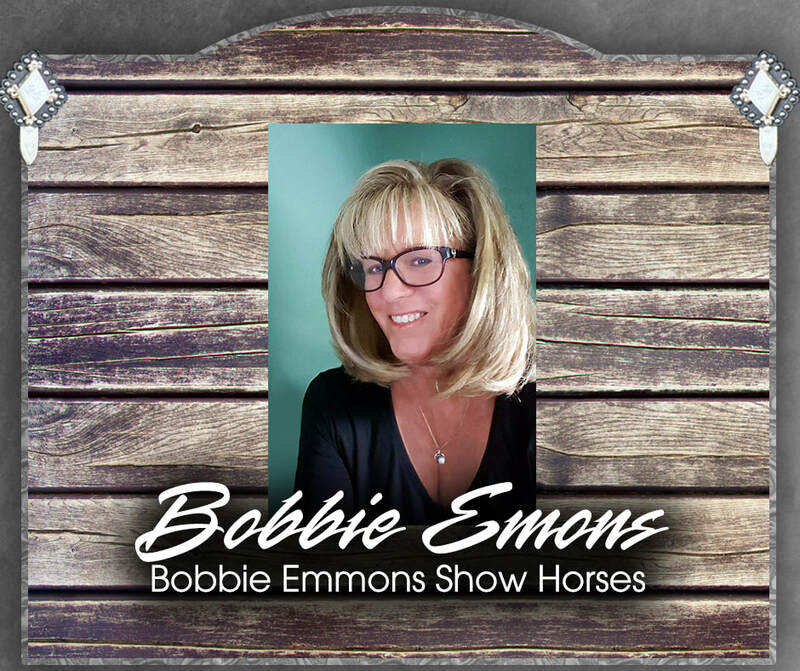 Bobbie Emmons Show Horses is located in the beautiful foothills just southeast of Sacramento in the town of Plymouth, California. 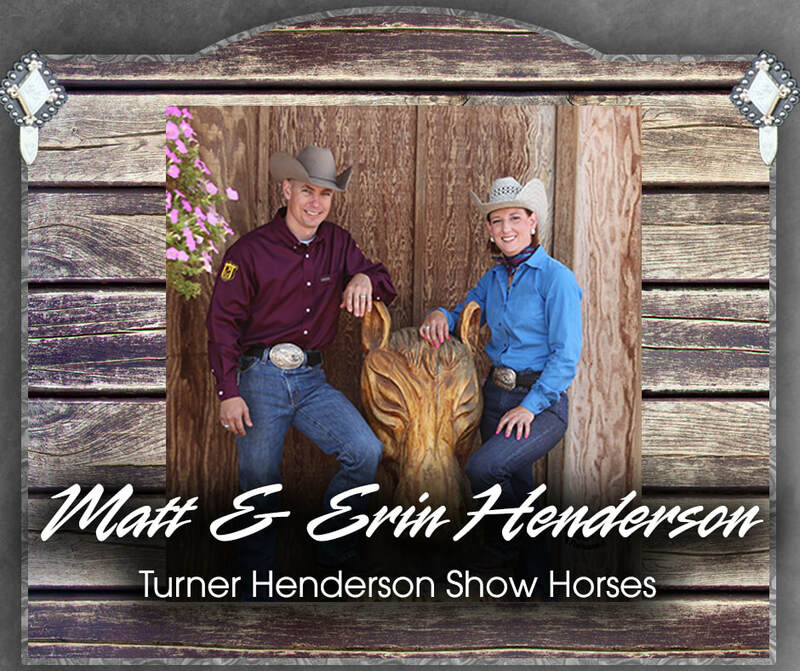 Matt & Erin Henderson own and operate Turner Henderson Show Horses of Albany, Oregon. They show both Quarter & Paint Halter Horses. Together their program has won 23 World & Reserve World Titles. 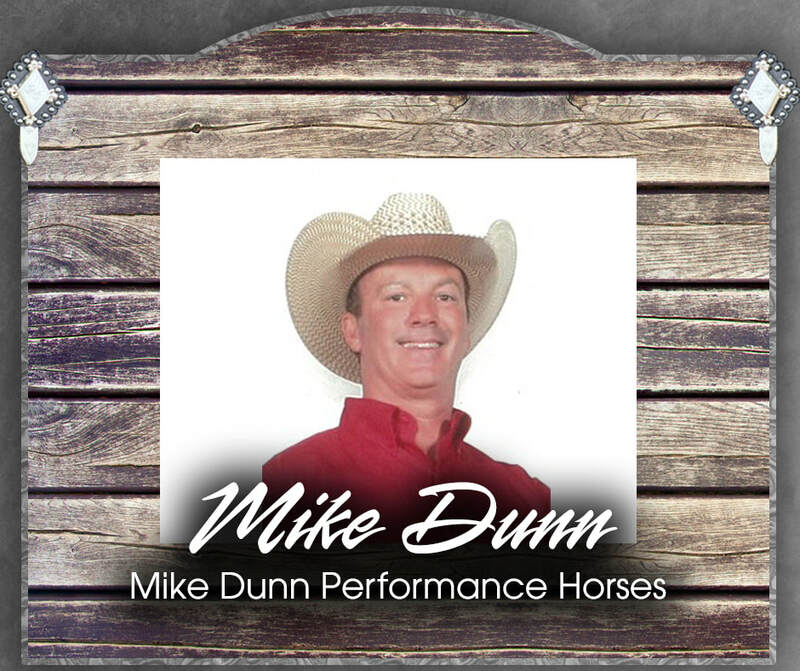 Mike Dunn is an accomplished Western Pleasure and Hunter Under Saddle trainer with AQHA Top 5 and Top 10 Congress and World Champions at NSBA Regional and National level shows. 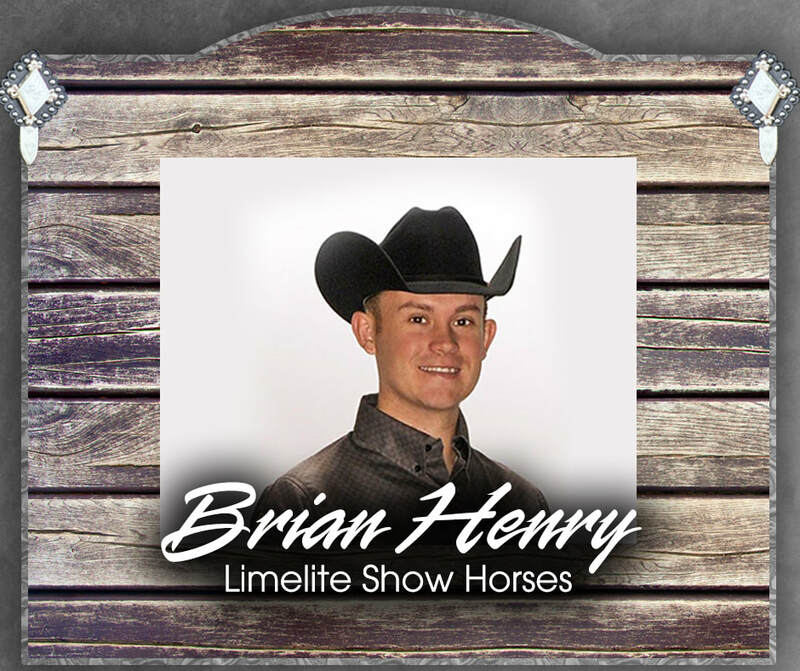 ​Brian Henry owns and operates Limelite Show Horses in Loma Colorado and they have trained, coached and shown their way to 58 World & Reserve World Titles. He is the President of the Colorado West Paint Horse Club and is working on becoming an APHA judge. ​They currently stand AQHA stallion "Ultimately Fabulous" and have a full time breeding and training business. Limelite Show Horses is always looking to grow their show team! CM Performance & Halter Horses, is located just outside of Edmonton Alberta , Canada. 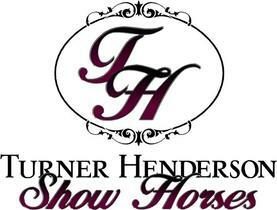 They provide training, coaching, showing and sales of their equine partners for all AQHA and APHA Sanctioned events. 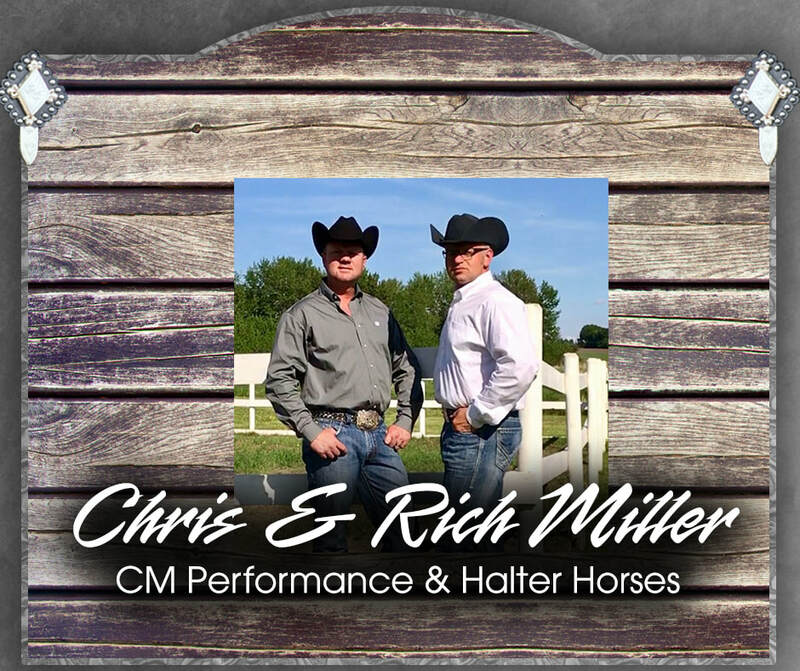 Chris Miller and Rich Zenner-Miller's training philosophy is based on his passion for the horse and his love of the sport. As no one horse is alike, CM's training programs reflect this and are tailored to each horses individual needs and personalities. “Talented horses are born then precisely shown the way, not forced” CM Performance & Halter Horses sets attainable goals for their horses with emphasis on creating healthy, versatile and willing mounts. They strive towards molding our students into confident, patient and connected riders and handlers that pursue working in harmony with their horse. Rich considers training horses and the sport of riding a continual; ‘work in progress’ “To stop learning, is choosing not to succeed” CM Performance & Halter Horses provides training, coaching and showing for the following events: halter, lungeline, in hand trail, showmanship, horsemanship, western pleasure, western riding, reining, trail, HUS. With many top placings in all events , local and in the USA. Renee Baker-I have been part of Sterling Custom Saddle Team now over 2 years. They provide top quality saddles that are made in the USA. My background is I am a second generation horse woman/trainer, my parents were involved in training and showing, Quarter horses, Arabs and other breeds of horses. My extensive knowledge lets me train in Burbank California for over 30 years. With all the experience I have, I know a good saddle, one that fits the horse, doesn't create sore spots, is a pleasure to be in. After all, with 20 plus horses in my care, I spend a lot of time in the saddle. 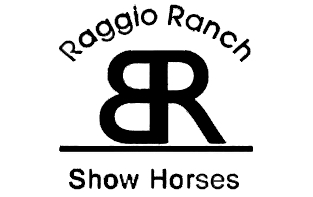 Brian and Dena Raggio have over 60 years experience in the Equine Industry focusing primarily in Appaloosas and color breeds in the show arena, producing over 200 World Champion title in three different breeds. Brian is fully committed to his clients, his client’s goals and their horses. Brian's clients are long term and many have had horses with him for over 15 years. Brian's training methods focuses on a drug free environment and has been published World wide in such publications as Western Horseman and the Appaloosa Journal. We feature a work ethic that is second to none at one of the premier, full service equine facilities located in the heart of horse country in Pilot Point, TX. Marty Oak Simper was born in Utah but spent most of his childhood and preteen years in Great Basin Nevada also known as Elko. Marty has always been intrigued with horses, gaining a winning spirit and work ethic from his parents who supported him in the show ring and rodeo arenas. Summers in Elko were spent roping & moving cows and branding and working with horses. At a young age Marty went to work on a 220,000 acre ranch in Elko. There he became greatly influenced by the philosophies of such icons as Tom and Bill Dorrance, Ray Hunt and Bill Van Norman. Through their philosophies he set his foundations for the methods he uses a lot today. After high school, he worked and apprenticed with such well respected trainers as Clark Parker, Larry Larsen, Mike Dunn and Bret Stone. 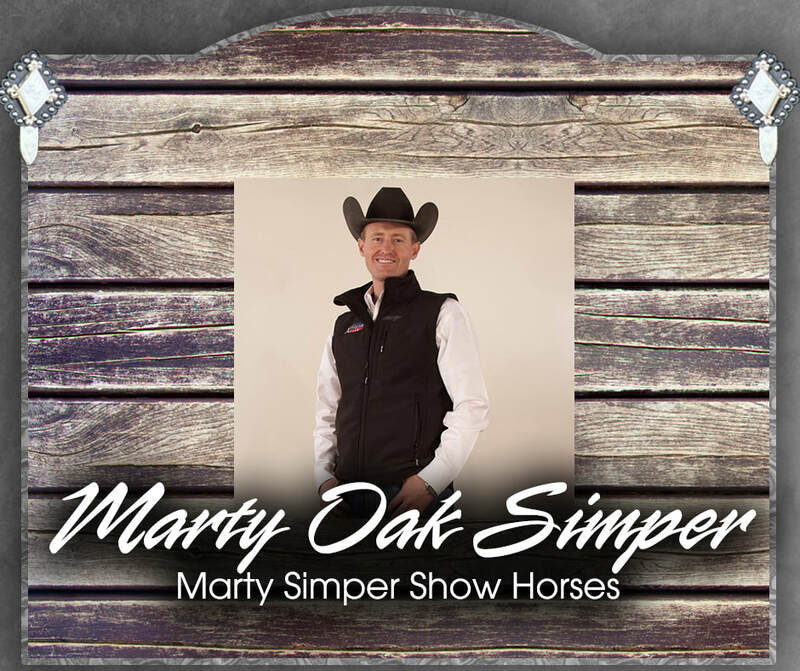 Marty is currently the owner of Marty Simper Show Horses and trains out of Heritage Ranch and Stallion Station in Farr West, Utah, specializing in All-Arounds. Marty is a well known trainer and clinician throughout the western United States. Marty has produced multiple futurity champions, top five congress and world champions. Marty is an AQHA Professional Horseman, National Director for AQHA, V.P. 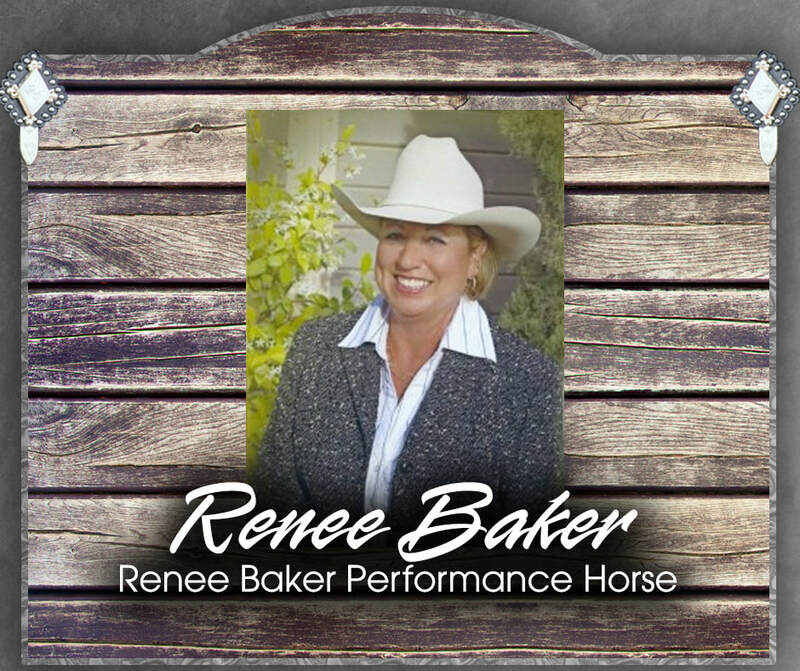 of UQHA, sits as a Board of Director for Utah Paint Horse Club, And Utah Horse Council, voted utah's MVP 2007 through 2013 & again in 2014. Past participant of AQHA’s Exclusive Leadership Program, membership by invitation only, and is currently a member of AQHA Team Wrangler.